Since our founding in 1973, Decca has established an international reputation for fine materials and expert craftsmanship that is unsurpassed in our industry. Our devotion to workmanship and cabinetry detail achieves the highest level of artistry, endowing our furniture with an unmistakable look of quality. As we have grown and moved into new categories, we stand firm in pursuing a standard of excellence that is beyond the reach of most other companies, sustaining a legacy of craft is that is upheld by each of our brands - Decca Contract, Decca Hospitality, Bolier, Decca Home and Élan. We first choose the finest materials. Decca purchases solid wood and veneers from the most respected mills, selecting only those products that possess exactly the color, figure and character desired. Before Decca artisans begin their meticulous work, the integrity of the wood ensures a superior product. While good design and fine materials offer the potential of a beautiful product, practiced and skillful hands determine how well the piece ultimately succeeds. 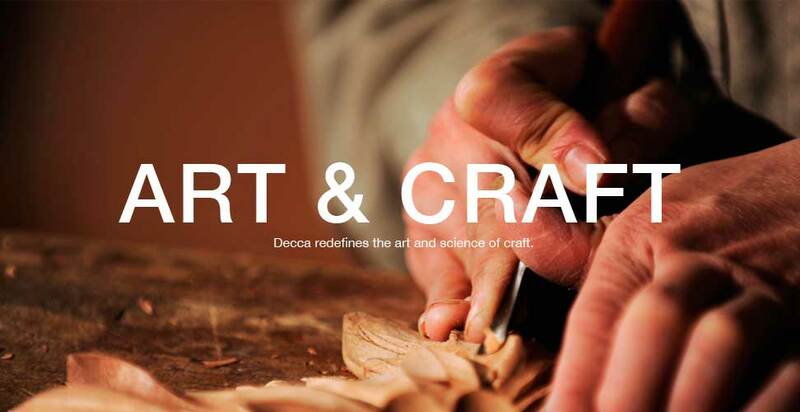 Decca's people are truly knowledgeable about the properties of wood and highly skilled in the techniques of their individual craft, shaping the wood, matching veneers and fitting inlay with infinite care and precision. Exacting, multi-step hand finishing techniques ultimately reveal the full, rich beauty of the wood. There is no comparison to Decca's detailing and hours of handwork. 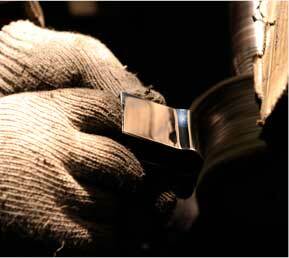 Our commitment to craft yields more than a polished surface. Every custom detail is beautifully executed and every piece of wood fits perfectly and securely together, while drawers glide open and the interior of the furniture is finished as carefully as the exterior. For those who appreciate inherent value, the superior attention to detail of Decca furniture is recognized as second to none. Balancing traditional techniques with the most advanced manufacturing technology, Decca is able to offer custom furniture for the most elegant and distinctive environments. We provide a level of customization for furniture, retail fixtures and architectural fittings that cannot be achieved using mass-produced components.